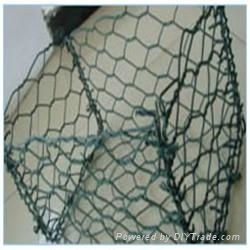 Gabion Box is a rectangular baskets consisted of sides, ends, lid and diaphragms, which are fabriced by PVC coated hexagonal wire mesh into different color, green and grey are the preferred ones. 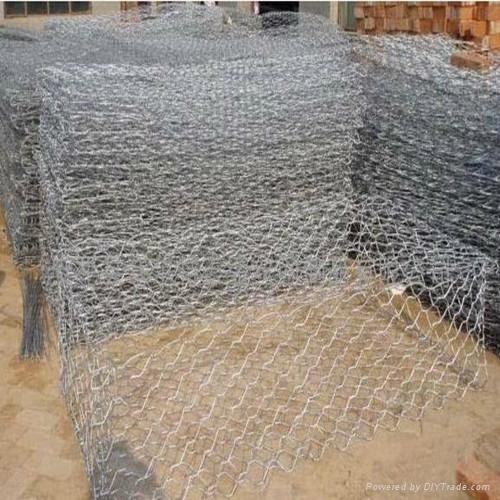 Inside the gabion box, is galvanized or galfan(95%Zinc-5%Alu Alloy) low carbon steel wire, which has good ability of resistance corrosion. 2) Flexibility, ensures the woven mesh gabion box accommodate different settlements unlike rigid systems eg. welded mesh cages.